In its journey towards achieving greater economic progress, Malaysia could take further steps to unlock the full potential of its digital economy says a new World Bank report launched here today, according to a recent report. The report, ‘Malaysia’s Digital Economy: A New Driver of Development,’ summarizes the work of a program managed by the World Bank Group Global Knowledge and Research Hub in Malaysia in collaboration with the Malaysian Ministry of Finance and other partners. The report assesses available policy options to boost the impact of the digital economy on economic growth, job creation, innovation, and public revenues. The year-long work program on Malaysia’s digital economy is a great example of close collaboration between the Ministry of Finance and the World Bank with the goal of boosting productivity and generating new jobs, especially for the youth. This is according to the Deputy Minister of the Ministry of Finance in Malaysia, who launched the report at a conference co-organized by the Malaysian Ministry of Finance and the World Bank Group’s Global Knowledge and Research Hub in Kuala Lumpur. According to the report, Malaysia’s past performance offers substantial optimism about the future of its digital economy. Homegrown entrepreneurial talent has led to the establishment of some of Southeast Asia’s most recognizable digital start-ups. In 2016, Malaysia also became the first country in the world to establish a Digital Free Trade Zone, a special trade zone providing a state-of-the-art platform for small and medium-sized enterprises to promote e-commerce. Experts laud the country and state that Malaysia is doing many things right to promote its digital economy as a new engine of growth – ranging from digitizing the delivery of public services to broadening connectivity to promoting digital entrepreneurship. However, it is important to note that more can be done to encourage Malaysia’s business sector to make better use of available digital technologies. Currently, big firms dominate e-commerce, leaving SMEs with a small share of the overall rewards. Moreover, the lack of competition in the fixed broadband market has resulted in services being slower and more expensive than they should be. Addressing these challenges will go far in unlocking the full potential of Malaysia’s digital economy, according to experts. 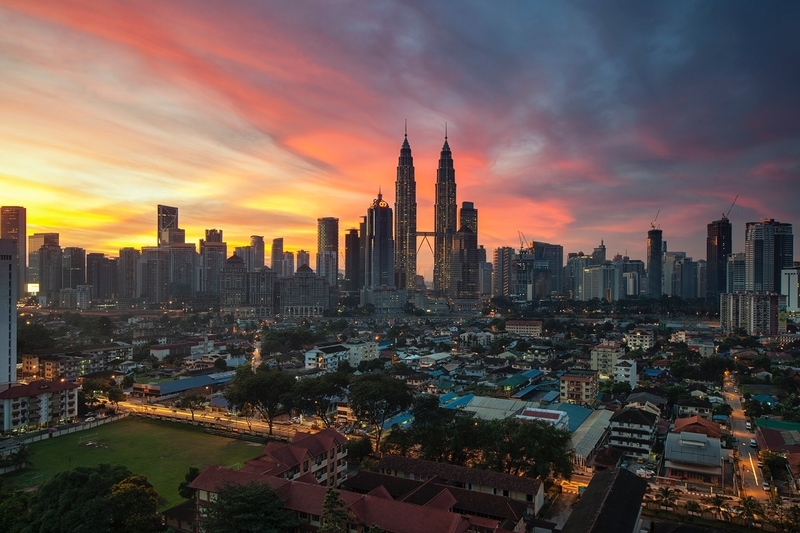 According to the report in order for Malaysia to continue progressing in its development path, the digital economy is poised to be the new driver of development. However, businesses in Malaysia have adopted digital technologies less readily than the government and population. Rapid growth in basic digital adoption has contributed to a new digital divide where Malaysia lags behind international peers in digital adoption by businesses. Only 62% of businesses are connected to the Internet, 46% has fixed broadband (often of low quality) and 18% have a web presence of some kind. Large export-oriented firms dominate the digital economy as they adopt e-commerce at higher rates than SMEs. Most of the digital economy’s measurable growth has been concentrated in the manufacturing sector of urbanized states. Creating a dynamic ecosystem for the digital economy to improve the infrastructure, regulations, skills and public finance. Achieving ubiquitous, fast, and inexpensive internet connectivity for businesses and households, and improve on Internet regulation to correct unfair and damaging business practices. Improving human capital through better curriculum and learning opportunities, while engaging more vibrant private sector financing. Taking measures that will safeguard future tax revenues from the digital economy to improve public services and reinvest in key areas of the economy.